Min. 2 / Max. 6 pers. Geraldine, our bilingual guide, is a wine expert. 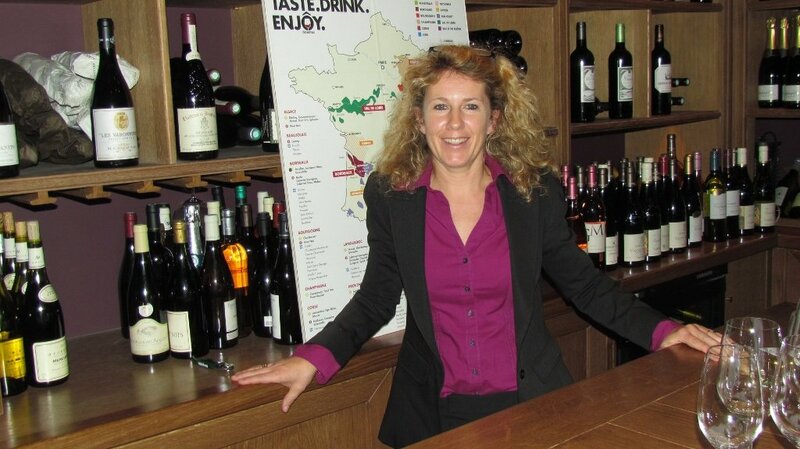 She has been conducting wine tasting and wine trips for the past 15 years. She is a knowledgable and friendly guide who will guide and assist you during the whole trip. 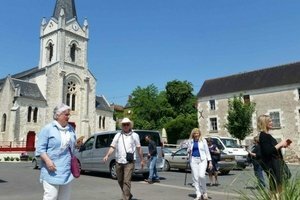 Arrive in Chambord around 11 :15am. Chambord is the largest Château in the Loire Valley. It was built to serve as a hunting lodge for King François 1er. Chambord the most recognisable castle in the Loire because of its distinctive and outstanding Renaissance architecture. 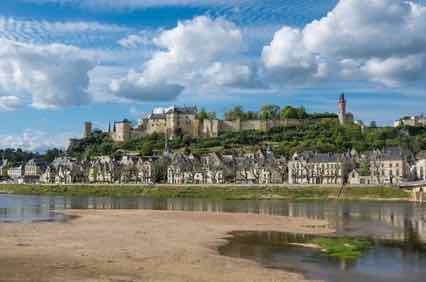 Scenic drive along the Loire river to go back to the village of Semblançay. 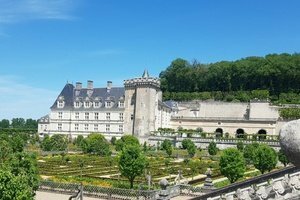 Villandry* is another castle built in the 16th century and it is extremely famous for its Renaissance gardens that include a water garden, ornamental flower gardens and vegetable gardens. The gardens are laid out in formal patterns created with low box hedges. Fantastic all year long ! 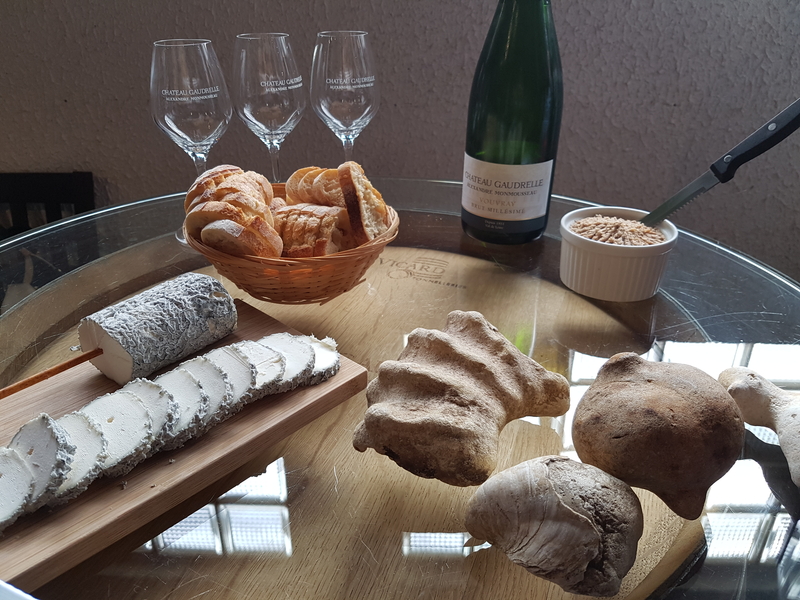 Visit and lunch at the UNESCO city of Tours. Walk around the old Tours and the carefully restored half-timbered townhouses. Lunch around the very popular Place Plumereau and its countless cafes and restaurants. 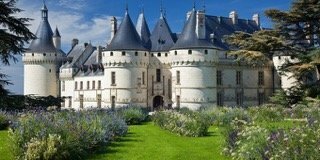 * The Loire Valley has so many castles you can choose from: Chenonceaux, Cheverny, Clos de Lucé, Amboise, Blois…..
2 days trip from Paris. From 2 to 6 participants. Lunches ( 20 euro max). There will be a 15% fee incurred if a confirmed tour is cancelled more than 7 days before the actual tour date and a 50% fee if cancelled between 3 to 7 days. For cancellations made within 3 days, no refund will be provided.